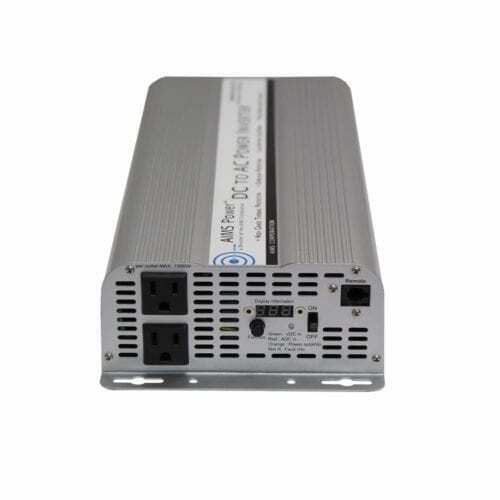 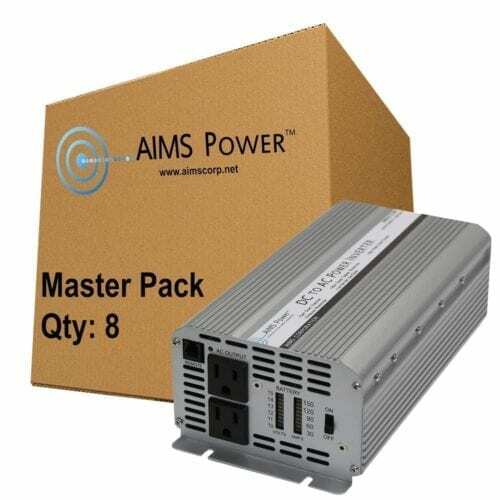 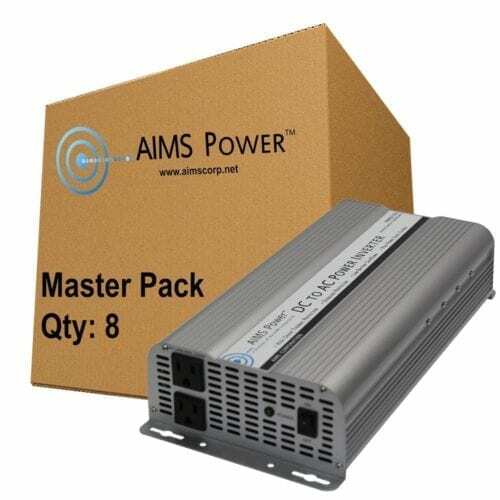 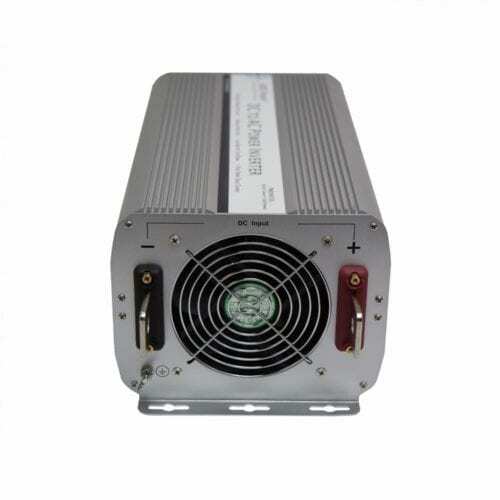 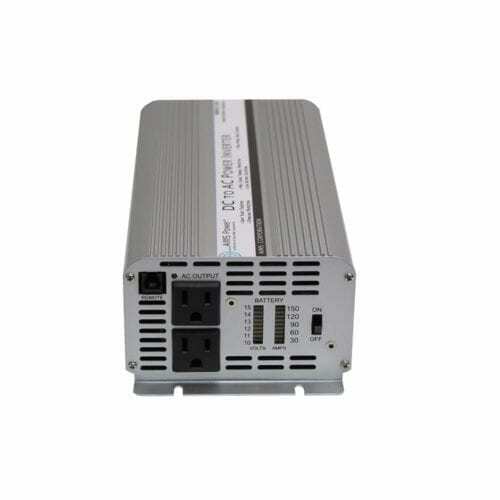 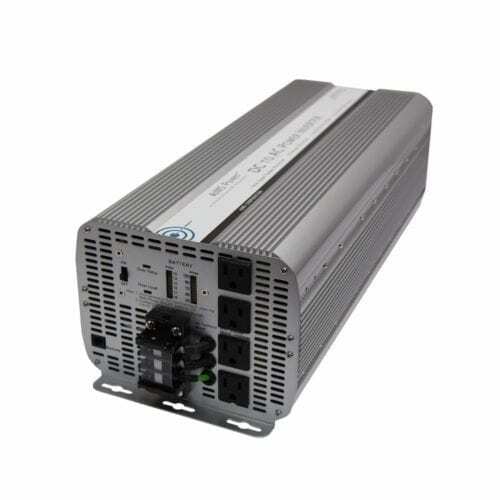 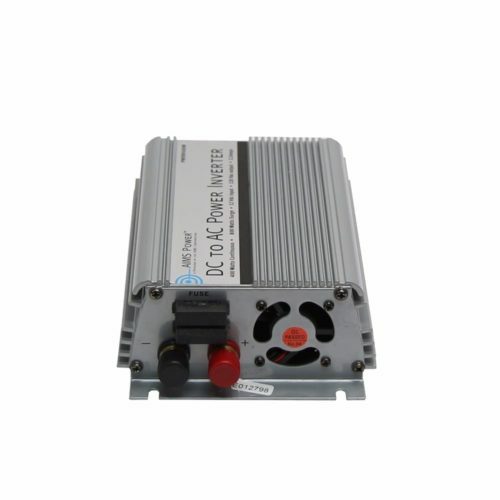 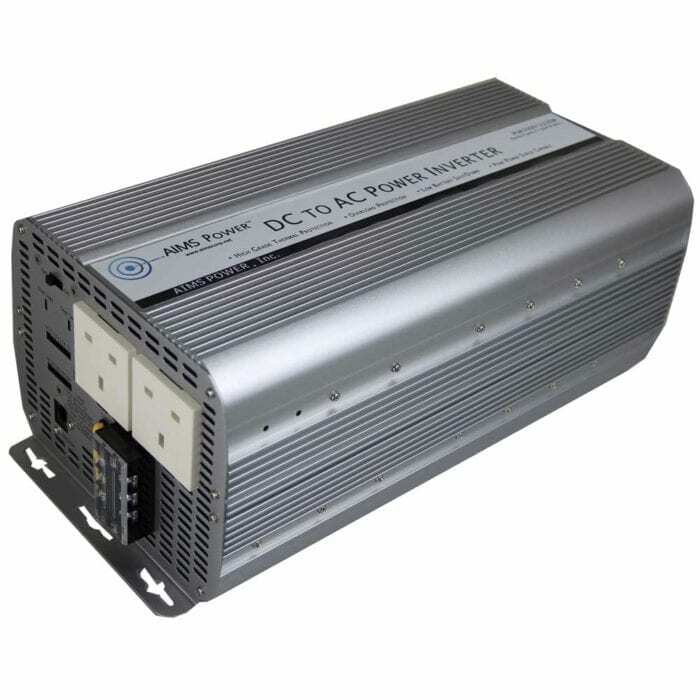 This 5000 watt 12 volt or 24 volt (depending on model) power inverter by AIMS Power converts DC (direct current) power stored by batteries into AC (alternating current) electricity that can be used to run practically any household appliances or tools. 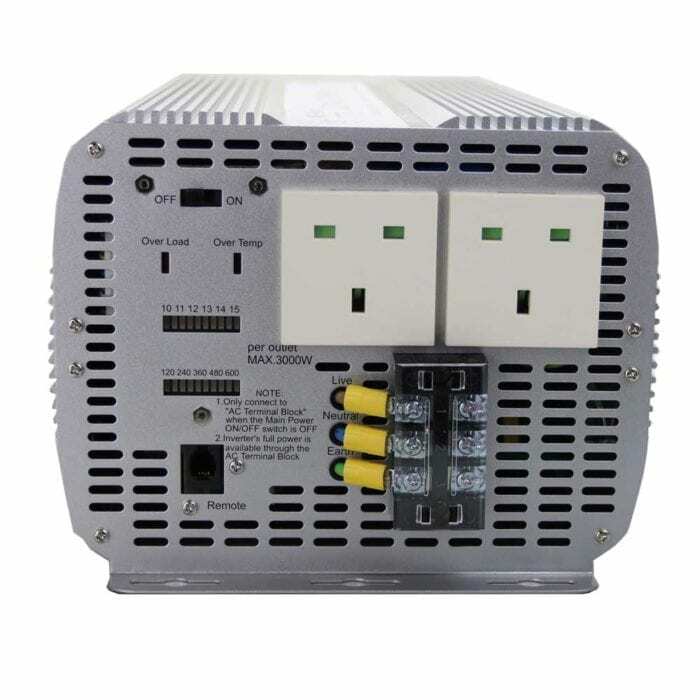 The 200 percent surge capabilities of this unit should only be used as a safety feature. Other safety features include over-temperature and over-load LED indicators that are used as a warning system for the operator. 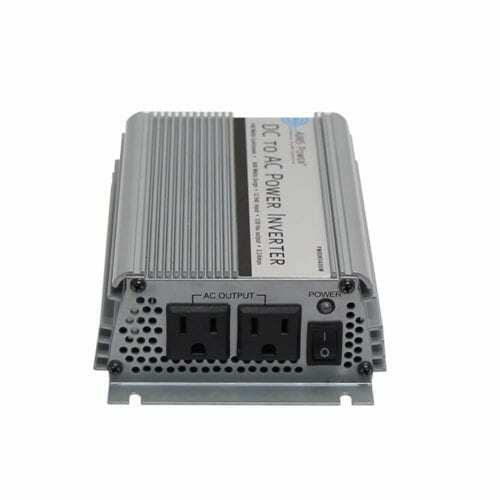 Also on the AC side of the unit are the battery voltage and amperage meters which display the usage levels of your battery bank. 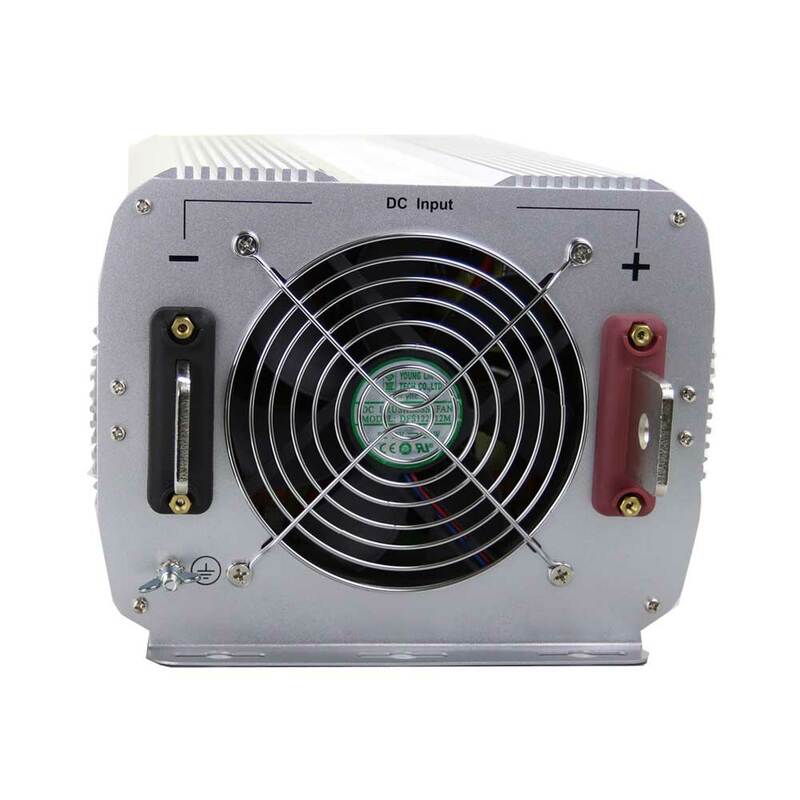 This inverter is equipped with dual cooling fans and over-temperature protection that keeps it from overheating.